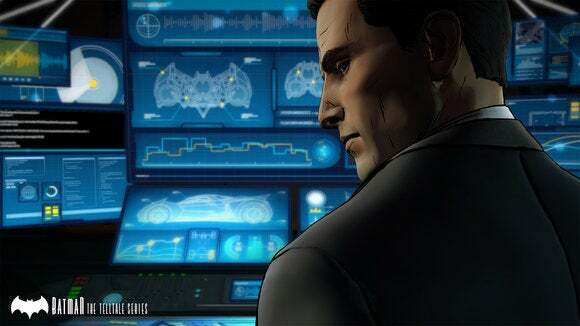 With Batman: A Telltale Series, the Walking Dead developer is positioning it as “A game where Bruce Wayne is just as important as Batman.” I’ll take that one step further and say: After watching the opening half-hour, I’d warrant the Bruce Wayne sections will be by far the most interesting. 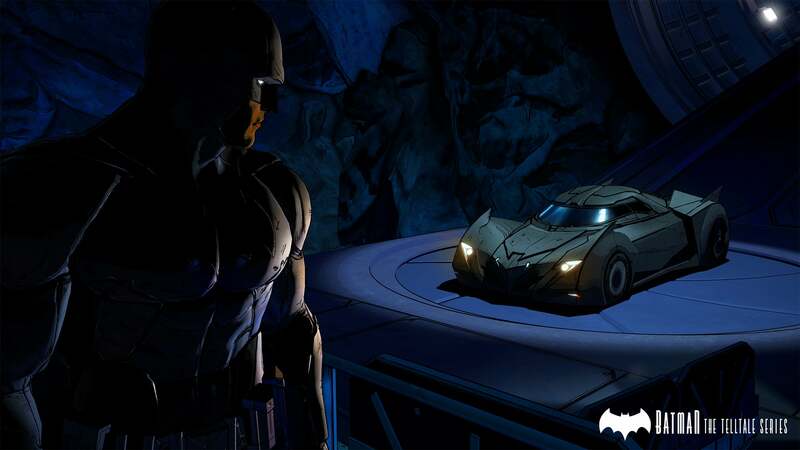 At the heart of the problem is the fact Telltale’s games just don’t lend themselves well to action sequences. They keep trying—more with each game, really. I don’t know if Telltale just wants to counter arguments that their interactive movie-esque titles are “not a game” or whether they genuinely believe these action sequences are interesting, but we’ve seen a steady increase from Walking Dead to Wolf Among Us to Tales from the Borderlands to Minecraft. The opening fifteen minutes of Batman is all one lengthy chain of press-this-button-at-the-right-time quick-time events (QTEs). Yawn. It’s admittedly in service of one hell of a sequence. There’s a robbery in process and with Gotham’s finest absent it falls to Batman to break things up. He does that the only way he knows how: By slinking through the shadows and bashing skulls. Yanking goons up to the ceiling and tying them up. Shooting a Batarang at a fleeing robber. The usual. 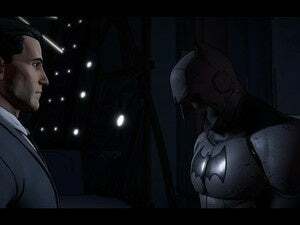 The game looks great, and there’s an interesting frame-story effect as the action alternates with shots of Alfred stitching up Bruce Wayne after the fight. This is an opening worthy of a Batman film. But that cuts both ways. It’s essentially a barely-interactive short film where you swipe the analog stick up to simulate an uppercut or left to have Batman dodge, over and over for fifteen minutes. You know the fight between Bigsby and the Woodsman in Episode One of Wolf Among Us? Imagine that, but way longer. Telltale’s certainly gotten better at these QTE sequences, as far as making the inputs mimic the screen output, but they’re still not engaging. I hesitate to think anyone is playing Telltale’s games because of these action sequences, and so the fact they keep getting longer and longer is inexplicable to me. 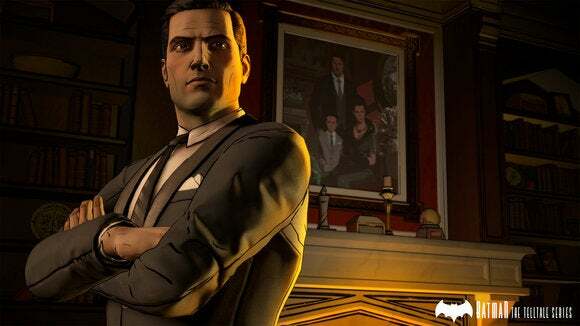 There are other aspects of Batman’s persona I think will translate wonderfully to Telltale’s adventure format—he is, after all, the World’s Greatest Detective. 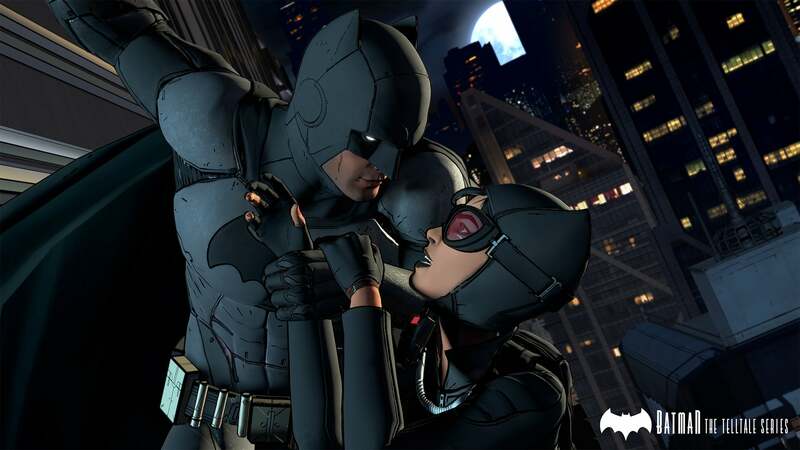 Rocksteady’s Arkham games only paid lip service to the Holmesian side of Batman, but it’s a perfect fit for Telltale. And then there’s Bruce Wayne. The second half of our demo saw Wayne arrive late, post-fight and post-Alfred’s healing hands, to a party at his own mansion. The cause? A campaign fundraiser on behalf of fresh-faced (and whole-faced, for the moment) Harvey Dent. Navigating Gotham’s social graces proves somewhat more complicated than punching baddies in the face—especially after Carmine Falcone shows up to wave his crime syndicate money around. Not only does the pacing play more to Telltale’s strengths, but this is a side of Batman we rarely see outside of the comics. Normally Bruce Wayne is treated as a subplot in the films—an “Oh yeah, he’s a real person too” aside. And in Rocksteady’s games, Wayne might as well not exist. Telltale’s not exactly breaking new ground so far, what with the whole “Harvey Dent campaigning for office” storyline being dug up again from its shallow grave. On the other hand, the studio’s at least taking a fresh angle. Batman’s at his most vulnerable as the glad-handing billionaire Wayne, and I’m looking forward to exploring that side of things when the episodic game kicks off later this year. As long as I can stomach those interminable “action” scenes.